You must take care of yourself first. We’ve all heard that statement before and can intellectually agree with the logic behind it. Yet, many of us still struggle to take care of ourselves. We are disciplined in many areas in life and business and still struggle with this one. If you’ve ever paid attention to the pre-flight training from the airlines before take-off, you’ve heard the instructions in case of emergency to put the oxygen mask on yourself first – even before your kids. You can’t take care of anyone if you are passed out! This same truth holds true for you as a business owner. You are literally the energy and force that fuels your business — no one else is. No one else can power it for you. 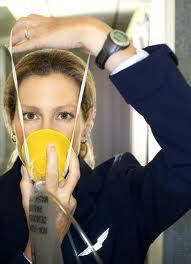 If you run out of fuel or are full of contaminated fuel your business will suffer. You will work harder than needed. You will struggle to make decisions. You will doubt yourself. The worry or fear you experience will enter your business and permeate its essence. Contaminating decisions, products and interactions with others. And ultimately you are not the only one that suffers. So do all of your clients, vendors, suppliers, creditors, employees and stakeholders. The clearer your mind and the healthier your spirit, the more able you are to serve the world in the biggest most powerful way possible. For many of us that is through our business. Think about what that means to you and where in your life you are not taking care of yourself. Where is water leaking into your gas tank? What are one or two small things you can do to change that today? In my monthly Success in Business Meditation we learn to begin our meditation by focusing on ourselves. I teach you a simple way to do this in just 10 minutes. THEN we are in a clean and focused place to move on to what we are creating with our business. We have the capacity to expand and give in a powerful and compelling way. Mindfulness and meditation are just one of several ways you can ‘keep your gas tank clean’. This entry was posted in Mindset, Personal Power and tagged marketing article, Mindset, self love, self-care on July 12, 2017 by admin. According to William Bridges, author of Transitions: Making Sense of Life’s Changes, each change or transition has three stages. They are Endings, the Neutral Zone and New Beginnings. I am focusing on endings this week because they set the course for the next two. Why are endings so important? Unresolved endings impede our movement into the neutral zone, which is a necessary part of the transition process. Are you struggling creating something new? It might because of how you ended what preceded it. Take a look at how you’ve ended major events in your life. Marriages, relationships, businesses, trainings, and other commitments. Objectively reviewing how you have (or have not) acknowledged the endings in your life can be an enlightening experience. Understanding how you’ve handled transitions in the past will ultimately allow you to be conscious during your current or next transition, giving you the opportunity to choose how you react. Take some time now to reflect on changes you’ve experienced in your life. Are there any patterns you see? 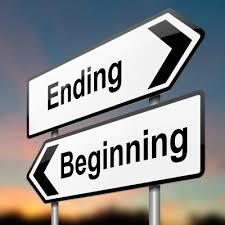 Let’s specifically take a look at how you handle your endings, as they affect how your beginnings start. Change always requires you to let go of something before the new thing can start. This is the Law of Sacrifice. For example, you must end your job to step into retirement. You must end an unhealthy relationship before stepping into a healthy one. You must end making poor health choices and eating on the couch all night to enjoy a healthy and fit lifestyle. Do you fight and resist endings? Do you acknowledge them and accept them? Do you avoid them or pretend they are not happening? Do you embrace them and welcome them? Are you usually not aware you are in an ending? Do you just want to hurry up and end so you can start your new thing? It’s not that these experiences aren’t meant to end, but it’s how you handle them that is worth reflecting on. Remember, a caterpillar’s life must end before it cocoons and reemerges as a butterfly. The caterpillar doesn’t fight the metamorphosis, it eats and eats (preparation) to sustain itself through the transition. The phoenix is another symbolic example of change. When the Phoenix perceives its impending death it ignites itself into a magnificent fire. In time, it reemerges from its own ashes – reborn, renewed, and very much alive. How do you handle endings? Are you in one now and if so, what can you do to embrace the ending rather than fight or avoid it? How can you honor the ending as a part of your metamorphosis into the new? Struggling with an ending or beginning? Reach out for a complimentary consultation with Kelly now! This entry was posted in Change, Mindset, Personal Power on June 20, 2017 by admin. There is nothing ruder and more frustrating than speaking to someone and they clearly aren’t listening to you. While the fact that they aren’t listening says more about them you, if you notice a pattern of people not listening when you speak it may be worthwhile to check-in to your own speaking habits. 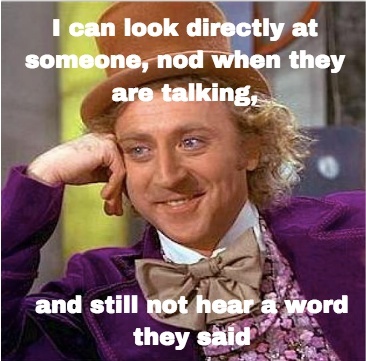 According to an article in PR Daily, less than two percent of all people have had formal education on how to listen. Odds are there are a Lot of people not truly listening! But you can’t do much about other people’s listening skills. Good communication begins and ends with you, as you are the only one you can control. Regardless if you are speaking or listening you want to feel good about how you handled your end of things and most importantly that you kept to your values and goals in the conversation. The truth is if you feel people frequently aren’t listening to you you can feel disrespected, misunderstood, frustrated, embarrassed and your self-esteem can even plummet. If you find when you speak people drift away and don’t listen, and again this is more than one person — you see a pattern here, follow these communication guidelines and see if changing your speaking style is in order. If your speaking style meets this criteria for the most part, trying to understand the other person’s lack of engagement can be another route to take. Arrogance, pride, defensiveness, boredom and not wanting to be wrong are just a few reasons people tune-out. Listening is, in fact, hard work and many people don’t realize they aren’t good listeners. As the speaker, your job is to be sure you are communicating as clearly as possible and evaluate if there is a different/better way to get your point across. Struggling with listening or being heard? Reach out for a complimentary consultation with Kelly now! This entry was posted in Personal Power, Relationships on June 15, 2017 by admin. Meditation. Mindfulness. Money Do these 3 M’s Belong together? Meditation. When I hear this word I think of people sitting immobile for hours at a time, dressed in white. Possibly in India or an ashram. They are not business people with busy family lives, but people with time on their hands and no kids. What I don’t vision is a busy entrepreneur taking time out of their day to sit for hours on end to experience a Zen state. Yet, studies show time and again the incredible benefits of achieving mindfulness, which can be done through meditation. A study in the journal Psychological Science shows that mindfulness can help us conquer common “blind spots”, which can amplify or diminish our own flaws. Mindfulness can help us see beyond our distorted lenses to recognize the truth. Another study in the journal Frontiers in Human Neuroscience shows that the benefits of meditation continue on throughout the day. 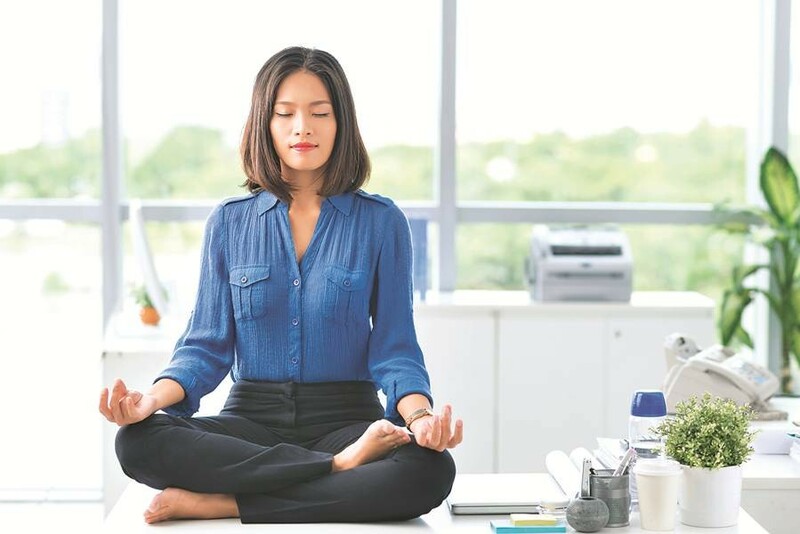 According to the study, mindfulness meditation can help you focus and remain calm because it helps the brain have better control over processing pain and emotions. What happens when we bring meditation, mindfulness and money together and work towards achieving a common goal? Mindfulness is a state of being. Observing where you are and bringing your attention to being aware of yourself. Meditation is a common way of being mindful. Taking even a few minutes each day to slow down your thoughts, stop thinking about the 15 things you need to do before noon, and become conscious of your self-talk can completely change the results in your business. Studies show practicing mindfulness can lead you to be more focused, less stressed, and have a greater ability to prioritize effectively. The truth is you don’t need to spend hours at a time meditating to create change in your life. This week’s Fresh Tracks interview with May McCarthy teaches us a simple process to being mindful by setting aside a few minutes each morning. More meditation = more money? Do you think you might make more money if you were less stressed, more focused and calm, and had a better understanding of your emotions in the moment? I know when I am mindful I make decisions faster and with more clarity. I am able to be more focused on achieving my goals and not get distracted as easily. All of which ultimately leads to my ability to serve more people and make more money. Not sure what to do or how to meditate? Join me in a free guided meditation the first of each month and get a taste of what’s possible. This entry was posted in Mindset, Personal Power and tagged Marketing Coaching, marketing training, meditation entrepreneur, meditation for business on May 9, 2017 by admin. There is a reason why some business owners are more successful than others. It’s not because the successful one’s work harder or are smarter, but it’s where they focus their attention. It’s how they take control of their mind and ultimately their day right from the start. The truth is changing your results can happen without effort by changing a few steps in how you start your work day. And the best part is you can do it in less than five minutes. Beyond setting goals, which are usually done once a year and are often soon forgotten, there are daily habits those that live and create with intention incorporate into their routine each morning. 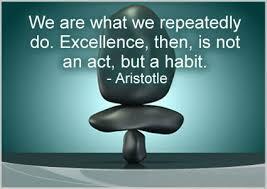 These habits make an incalculable difference in their results. Focus on yourself and mindset. Clear your head, take a few deep breathes, and slow your mind down. Take control, even if it’s just for a few minutes, of those run-away thoughts and the negative self-talk that can easily take control of your day. Intention for client care and client attraction. Taking care of your existing clients and focusing on attracting new clients should be a daily action. By taking just a few minutes to set an intention and focus on how you intend to serve and keep your existing clients can make or break your business. In addition, knowing that the right, new clients are on their way to you now allows you to set a tone of gratitude and prioritize what’s important to your business for the day. Focus on a healthy flow of money and circulation. In every business money should circulate. Similar to how blood circulates in your body and keeps you alive, money is what gives a business its life force. Set a focus that today and each day you will make money. You can certainly be specific about the amount you intend to bring in. The important part is to feel and set the tone for an abundant and profitable day. You can do this in five minutes or less each morning before you begin your work day. To help with this, I am now doing a monthly business meditation for all subscribers. For free. I would love for you to join me! Register here to receive the link to access the meditation. Want more? Kelly does an in-depth teaching on this topic in the Fresh Tracks with Kelly Robbins podcast. Ready to create your Fresh Tracks? Reach out for a complimentary consultation with Kelly now! This entry was posted in Change, Mindset, Personal Power and tagged Marketing Coaching, marketing training, personal growth, success habits on May 1, 2017 by admin. 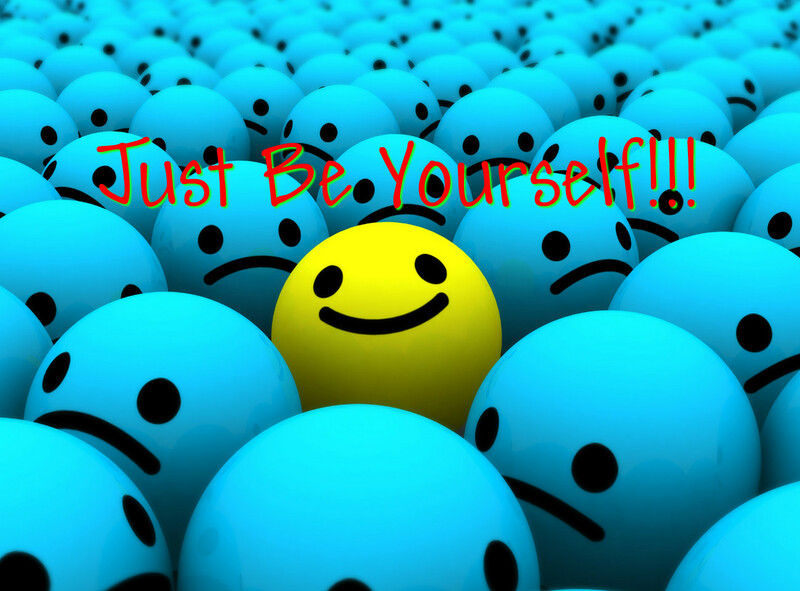 Have you ever gotten the advice to “just be yourself”? It’s probably one of the most common bits of advice given, particularly when speaking with someone who is nervous about doing something new. And while ‘just be yourself’ sounds great, is it really good advice? Do we even know what being our self means in a moment that we’ve not experienced before? This advice is often given when we are nervous and stepping outside of our comfort zone. The thing is when I am trying something new I don’t know who I am in that situation. I’m cutting Fresh Tracks. I’ve not grown into it yet to know who I am. My experience is that the process of discovering who I am, particularly when doing something I haven’t done before, takes me jumping in, feeling my way around, and THEN becoming clear and confident about who I am. I don’t know who I am before experiencing this situation because I haven’t experienced it before. What if I am a mess – do I really want to just be myself in this situation? A better piece of advice is to ‘be my best’. I may be a mess, but in my best moments I can pull myself together to give it my all. An example I’ll share is when I started producing this newsletter 15 years ago. It was called The Small Business Buzz back then and the first several months it was terrible. It took time for me to discover my voice, narrow down what I had to say and why it was important, and share my message in a confident and powerful way. I couldn’t be myself because I wasn’t sure who that was. I started writing and producing by taking action and doing the best I could based on what I knew to do. During the stumbling around process I discovered who I am as a writer and a publisher. I didn’t know ahead of time because I had no sense of self about it. As a Fresh Tracker learning how to be yourself is part of the journey in creating Fresh Tracks. Creating those Fresh Tracks means living and being MORE of who you are right now. For most of us this is a process of uncovering who we aren’t in order to be more of who we are. Stepping into new and unknown territories is part of how we discover who we are in the first place. Is there a difference between being myself, meaning who I am right now, and being who I choose to be? Perhaps who I choose to be is a stronger, more confidence person? Or I may try different ways of being me and see what is most comfortable and stick with that. Don’t take the advice “just be yourself”. You can choose who you are in each moment and be authentic at the same time. Instead, I encourage you to “be your best self”. This entry was posted in Mindset, Personal Power, Purpose and tagged Marketing Coaching, marketing training, Mindset, purpose on April 19, 2017 by admin. What does it mean to ‘use your powerful voice’? My first thought is which voice? My writing voice or my speaking voice? What does it means to have a voice as a writer? Who am I and what do I have to say? How is what I have to say any different than what anyone else has to say? Is how I speak different than how I write? Should it be? In writing I believe there is a maturation in developing your voice and discovering who you are and what you stand for. How you view the world is different than how anyone else views it and learning to express yourself through writing can take time and experience. Your voice is as unique as you are and stepping into your powerful voice is more a process of uncovering it rather than creating it. Your voice is as much a part of you as your legs or your hair. It is a part of your soul yearning to break free and breathe. To be witnessed and heard. To expand into its maturity and express itself. When you find your writing voice the reader often feels your authority, power, honesty, authenticity. A connection is made. And then we have our physical voice. As young children we first learn to speak and use our vocal cords and quickly learn the power we yield over the adults in our lives. We use our voice to get attention by crying, screaming, even whispering. We learn ‘inside voice vs outside voice’. We may learn to not use our voice to stay out of trouble. Some of us were taught to be seen and not heard. All of these things effect how we use our voice today – which is mostly unconscious until we start examining how effective our communication is. 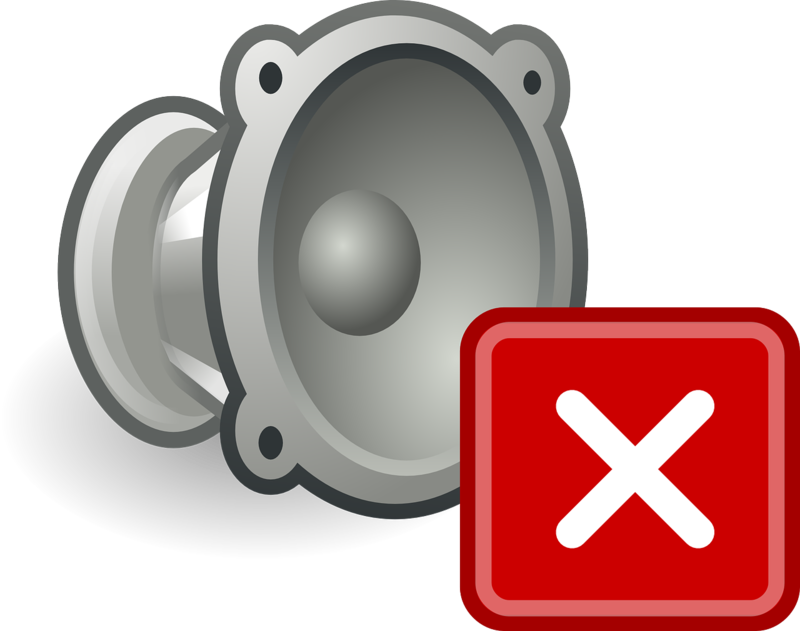 An important thing to note…while speech is how you use words, voice is how you create sound. The use of your physical voice is completely different than your writing voice, yet can be just as powerful a way to make a connection. I spoke with voice coach and co-founder of articulaterc, Hilary Blair, on the power of our voices and she tells us that we can use our voice as a wall to hide behind and not be seen – which leads us to not feeling heard. The frustration is that we may not know why we aren’t being heard. You can listen to the interview on the Fresh Tracks with Kelly Robbins show here. As business owners, as Fresh Trackers, as adults in today’s world, using your voice is a powerful tool. We use our voice to close sales. To share ideas. To influence others and to change lives. We use our voice to stay in connection with others. If you want to be heard and make a positive difference in your life and the lives of others you can’t just raise your voice. You have to share what you have to say in a powerful and impactful way. Discovering your powerful voice plays an important role on the journey creating Fresh Tracks. Reach out for a free consultation if you’d like to discover how you can use your voice in a more powerful way now! This entry was posted in Change, Personal Power and tagged How to be in your Power, Marketing Coaching, Personal Power, speaking from power, voice coaching on March 21, 2017 by admin.